$299. That's how much that Diablo III statue will cost you. You might need a friend to help pay for it, but, from the looks of it - it'll be worth every penny. 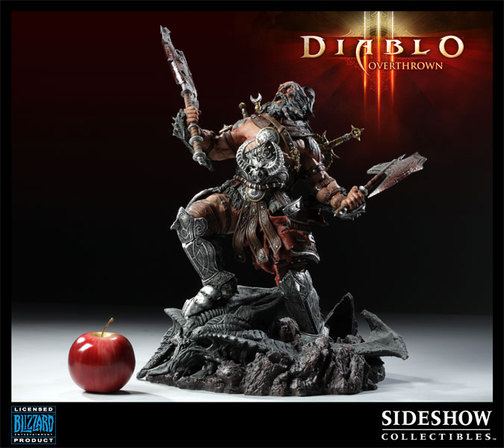 At 18 inches tall and weighing 15 pounds, this is no small statue of Diablo's Barbarian class. 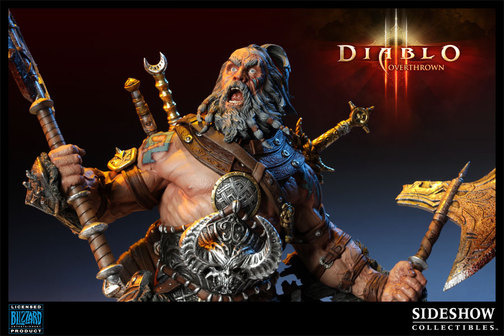 Sideshow Collectibles and Blizzard Entertainment are proud to introduce the Diablo III Collectible series with this epic first release. The Barbarian Statue depicts the warrior class in fine form, wielding dual-axes in the heat of battle. Each piece is hand-cast in high quality polystone, individually finished and hand-painted to exacting standards, complete with individually assigned edition numbers on the bottom side of the base. 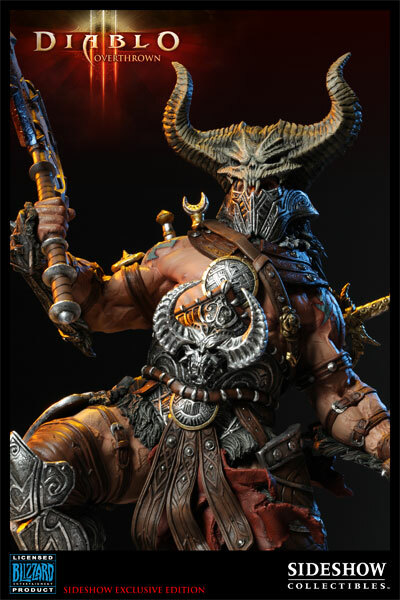 Don't miss this opportunity to begin your Diablo III collection with the limited edition Barbarian Statue. Wait, there's going to be MORE of them? We're gonna need more apples. Look for this to be available later this year from Sideshow Collectibles. Sideshow Collectibles also has an exclusive version of this with an interchangable helmet.